Caffe Shop Ltd was established in 2009 by RajBeadle, who was the managing director of Gaggia UK, prior to Gaggia becoming part of Philips. 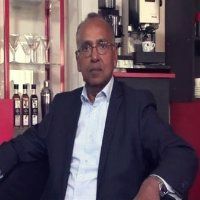 Raj has over 25 years association with Gaggia and wanted to use his knowledge and skills to make Caffe Shop, the specialist in Gaggia in the United Kingdom. In 2015, Gaggia's sole distribution was given to Raj Beadle and Caffe Shop Ltd is committed to helping Gaggia users to get the best out of their machines and coffee. Caffe Shop runs three Gaggia shops and also retails Gaggia products directly and through coffee specialists. We are the Authorised Exclusive IMPORTER AND DISTRIBUTOR of GAGGIA Milano home coffee machines, coffee and accessories in the United Kingdom and Ireland. The company employs Gaggia trained engineers in repairing and servicing of Gaggia and Saeco machines. Caffe Shop Ltd carries an extensive range of new and re-conditioned Gaggia, Saeco and Caffitaly coffee machines. We SELL, REPAIR and SERVICE home, office and commercial machines. We offer a range of new and refurbished machines. Refurbished machines are machines which have come back to us as a result of a trade in / customer upgrading their machines, ex-demo machines or machines which cannot be sold as new. Before offering these machines for sale as refurbished machines, our Gaggia trained engineers thoroughly clean and service check all these machines changing parts where necessary. If you have a Gaggia machine which you are wanting to trade in when purchasing a new Gaggia machine from us, please contact us as we believe in recycling wherever possible and play our part in protecting the environment.